In order to provide quality customer experiences, it’s vital to speak the language of your customers. This is expected at all customer touch points, be it with the sales team, print or digital material. Of course, it’s not enough to recognise this need for multilingual content—the trick is knowing how to deliver it in a timely, valuable and cost effective manner. This is no small task, especially for ambitious brands that aim to maximise their global reach. Common Sense Advisory, an independent market research firm, once asked the question ‘How many languages does it take for global businesses to stay competitive online?’. According to their research it took 12 languages to reach 80% of people on the internet in 2007, which increased to 14 languages in 2015. The benefits and accompanying complexities of achieving this sort of reach are obvious, and that’s why it’s vital to find the right partner to help you get there. LanguageWire is more than just a translation partner. As the demand for new means of communication increases, we help you take control of your multilingual content by connecting you with language experts for proofreading, translation review, text editing, copywriting, desktop publishing, voiceover and many other services. For customers with a continuous need for language services, we evaluate translators, proofreaders and other language experts to find the right teams that match your needs. Because when you work with a preferred team of language experts who understand your brand and specific language needs, the quality of your content will increase and have a greater impact. You’ll work with a terminology database, aka Termbase, to ensure your communication uses the right terminology all of the time and in every language. You’ll also benefit from Translation Memories so you can automatically reuse previous translations when full or partially matching text is used. These two tools dramatically improve your communication consistency and also save you time and money. Finally, LanguageWire is an easy-to-use, online platform for creating multilingual content. It is built to increase efficiency, improve performance and help you take control. With collaboration at heart, we make sure you have easy dialogue options with language experts, project managers and your own internal resources. You can log in using your browser, and if you’re a brand that wants maximum automation you can even integrate your digital platform with LanguageWire for a native translation experience. There are many more examples of how LanguageWire can benefit brands. But don’t just take our word for it, as we have a long list of customer references that prove our ability to deliver. Take a look at what our customers have to say about working with LanguageWire, or read on to find out about two major collaborations. 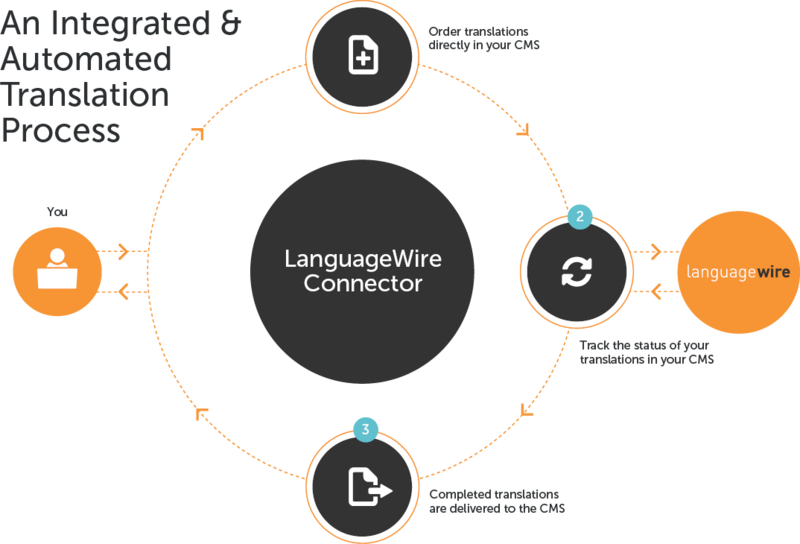 The LanguageWire Sitecore Connector is one of the most important integrations that SSAB has in its Sitecore Experience Platform. It offers a native experience when ordering translations, meaning there is no need to copy and paste content into separate documents which are then sent for translation via email or a web app. Instead, editors can simply add Sitecore items to their translation basket and place their order from within the CMS. The innovative translation module ensures that time-to-publish is only minimally affected by translation and that content stays up-to-date in all languages. Users also access the LanguageWire collaboration platform to have a more in-depth look at projects whenever needed. You can read the full customer story here: SSAB Customer Story. Nissan Motor Corporation has almost 150,000 employees worldwide and it annually produces about 5,000,000 cars. In Scandinavia and the Baltics, Nissan Nordic Europe has about 180 employees divided between their head office in Finland and the local country offices. As a result, Nissan Nordic Europe has an extensive need for translation. They have around 30 employees that access LanguageWire to order translations and other services. The platform simplifies their translation process as they have direct contact with their LanguageWire project manager and language expert team, who have been carefully selected and permanently allocated to Nissan’s account. In addition to ordering and retrieving translations, the platform allows Nissan a full overview of the company’s usage and invoicing, as well as providing access to other tools that streamline the translation process. You can read the full customer story here: Nissan Customer Story.